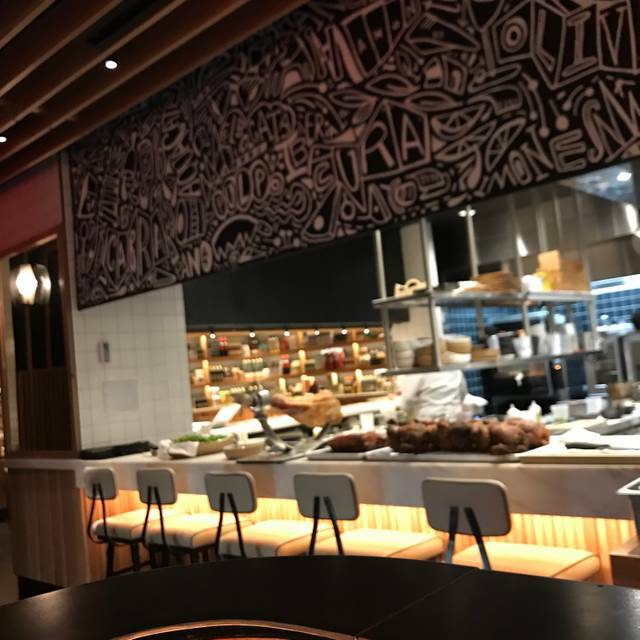 You must make reservations at least 5 minutes in advance of the time at Boqueria West 40th Street. Join us for breakfast at Boqueria West 40th and enjoy complimentary fresh-brewed drip coffee! 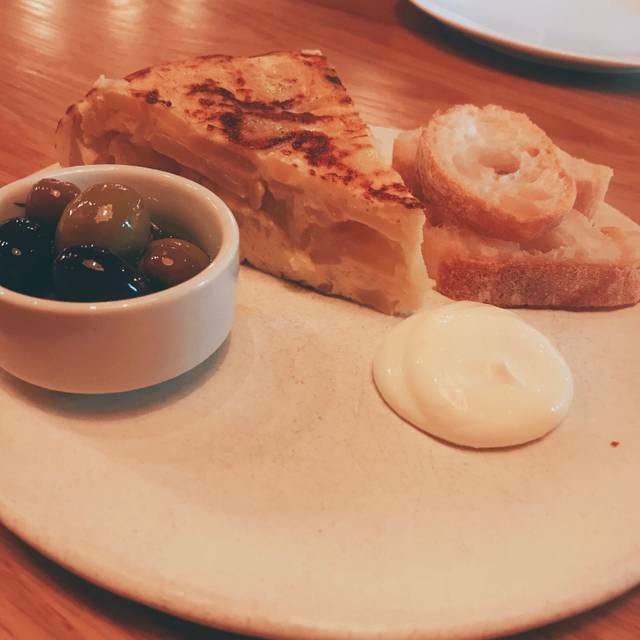 This is our favorite go-to place for Spanish food. 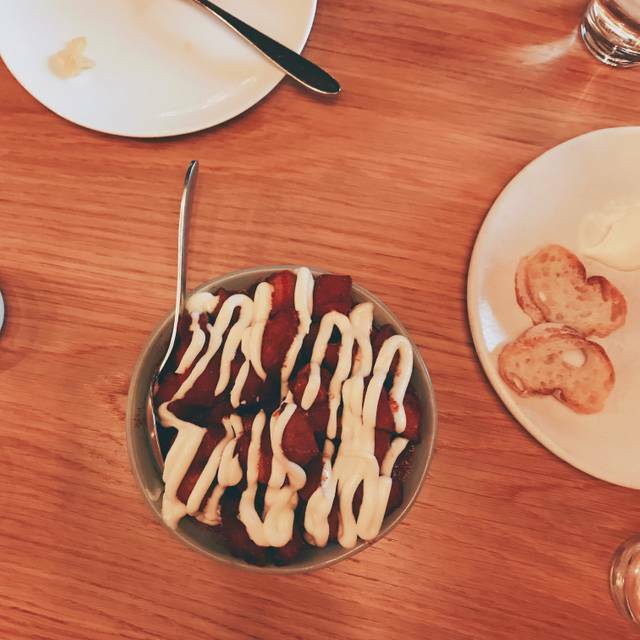 The patatas bravas and churros are my daughter’s favorites. This is a great Spanish restaurant. Every dish was terrific. Service was excellent. I wish there was one near me. We had an amazing time at Boqueria. Both of us had the “Boqueria Experience”, each dish in this tasting menu blew us away. I would recommend this restaurant to anyone. Absolutely great experience. Had a table of 8, they fit us in with no problems and gave us a 7 course tasting menu. The food, drinks, and service were excellent. Always excellent. Breakfast feast is a great brunch value. Recheck your credit card charges. Three people attended the dinner and after review of our respective credit card charges, two of us, discovered that the charges were double the cost of the dinner. When inquiry was made to the restaurant, at first the call was not answered by the manager, but when we finally spoke with the manager about the charges, he advised that it was a "mistake." He claimed that they had put the total price of the meal as the "tip" which was added to the price of the meal. While it seems as a mistake, it was difficult to believe that this was a mistake when two of the patrons had the same thing occur on their credit cards. Also, in the past, the food at other Boqueria locations was excellent. At this location the shrimp was oversalted, lamb was okay, and overall service was not as good as it had been in the other locations. 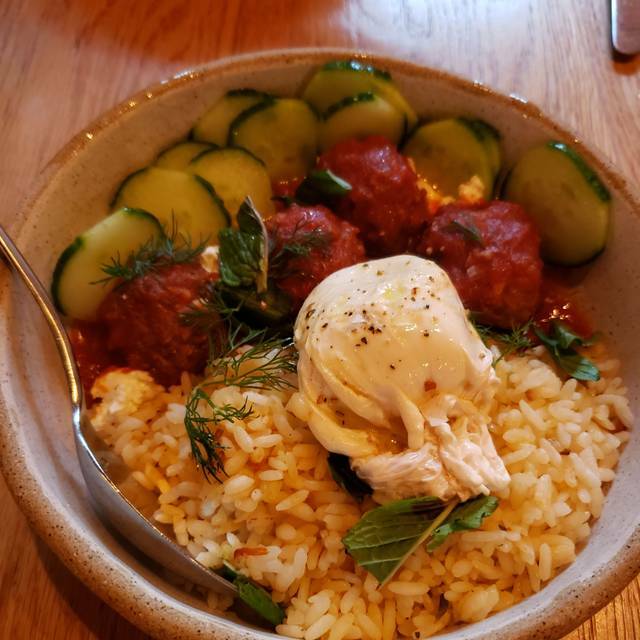 Amazing food and great bottomless brunch! Went with a group of girlfriends before seeing Pretty Woman. My husband had visited your restaurant before and raved about the food. We were not so happy this time. The patata bravas were way too overdone. The olives were way to vinegary. 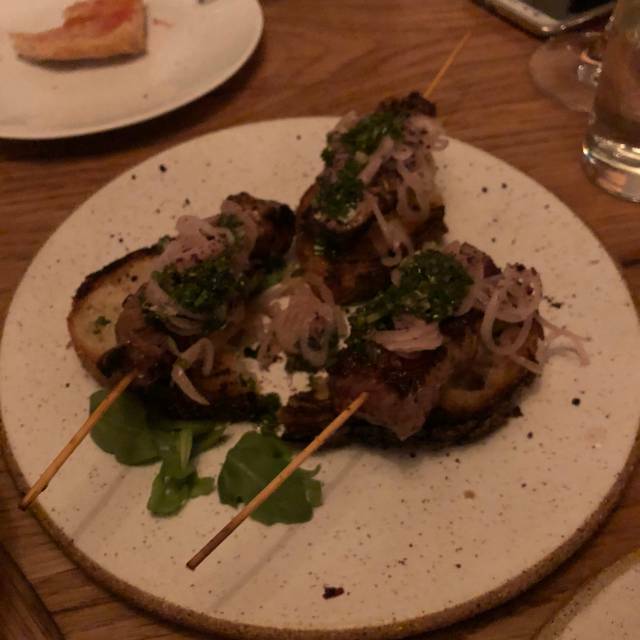 The lamb skewers were tasty. I can not remember what else we ordered, but it wasn't very good. I actually felt a bit sick after eating the food. Very disappointing. We really enjoyed, one of my wife’s favorite restaurants. Very good food and atmosphere. Service was perfect. Cool tapas bar by Port Authority. 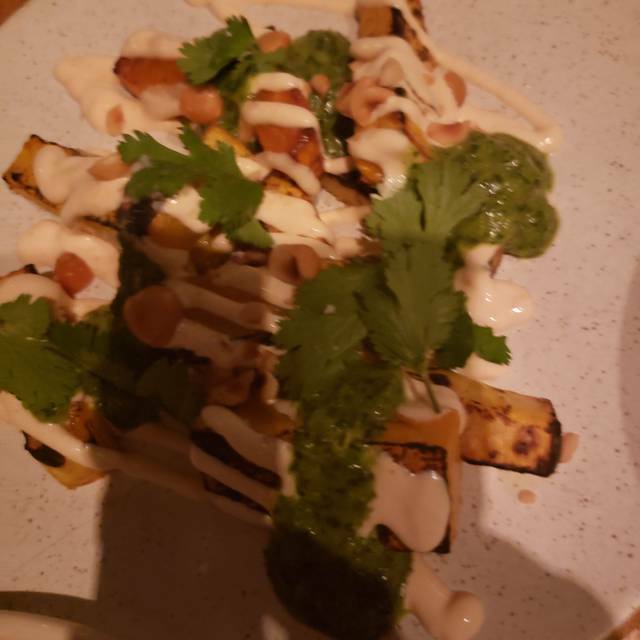 Great service, broad menu including extensive vegetarian offerings. Food delicious, waiter knowledgeable, helpful and warm. Service prompt. Only criticism is that it is loud so had to speak loudly to be heard. Love this restaurant and will check out other locations! Delicious food and great atmsophere. Not exactly budget-friendly and can get noisy, but it's a great place. And even though it's very social, it has a nice bar that accommodates diners, so if you'd like to pop in and eat alone, there are nice spots to do that. Highly recommend the chef’s menu selection! Beautiful restaurant with great brunch! We did the brunch feast for $42 and it was delicious. So fun to try five or six different dishes instead of only tasting one. Mimosas and red sangria were good, I didn’t try the white. Loved the vibe and ambiance, fun place to go with friends! The brunch was pricey but the food was fab! Pick 4 tapas, 2 entrees, 1 dessert all to share. 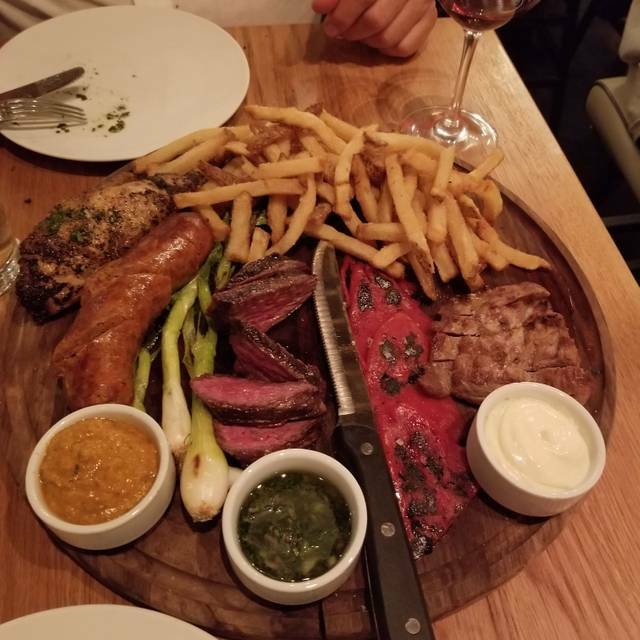 Lots of food, and the taste was outstanding. Can't rave enough about the bacon wrapped dates filled with blue cheese and almond. Oh, can I get 20 of those?!? The food and service are phenomenal!! First time we went @3 and was very quiet. At 6pm was more lively but didn’t interfere with conversation. We had Tim as our server both times and his knowledge of food and wine is superb! Perfect place for lunch. And the service was excellent! We were a party of 3 and ordered 3 tapas, a medium paella & red sangria. Everything was good, especially the bacon-wrapped dates (3 lonesome pieces on skewer) and grilled asparagus with hazelnuts. Gambas ajillo serving was a bit more generous. Pleasant, would go again to try other tapas. 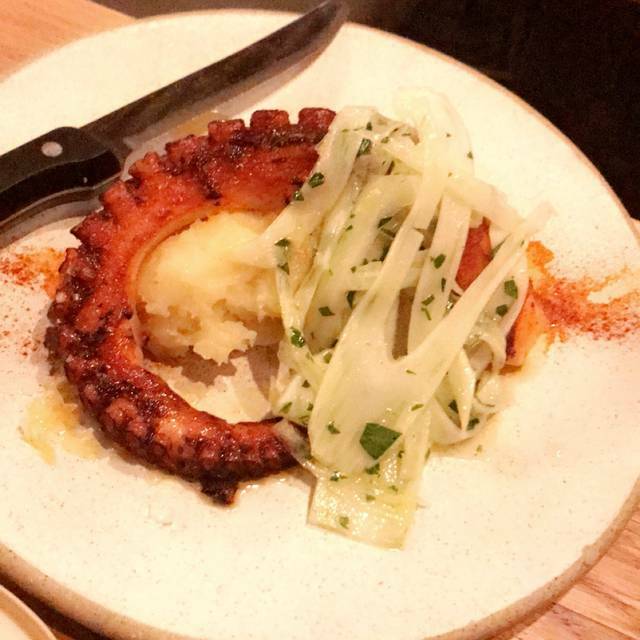 Booked a table for 8 for my birthday and we had a great time ! The brunch menu was new to us but it was the perfect portion for the whole table with unlimited drinks . Service was fast and pleasant. Great food, awesome server! Sangria a little weak all our tapas were amazing, very distinct flavors. 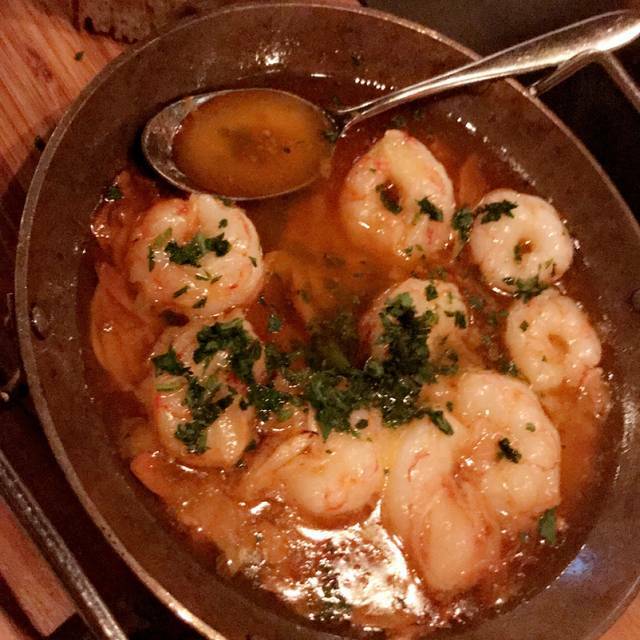 Jaleo in DC is our other all time place! Everything was great except that even though the restaurant was empty they packed the area where we were sitting. Great place to go before a Broadway play since it's close proximity! Tiny portions for the price, and small breakfast selection. Took us 45 minutes later than we wanted to get our check because our waiter was nowhere to be found. Also, our reservation through opentable said it came with complimentary coffee, but the employees claimed this promotion didn't exist.